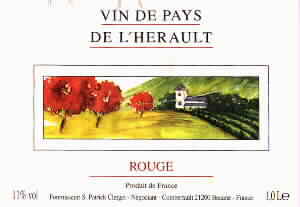 Basically, a simple red country wine from France. For something to drink with a meal, it's fine. The lack of subtlety in the taste is actually an advantage if you want a wine to drink with some simple food. Maria rating: "It's a simple wine"
DeM 1.99 for a litre from the Plus all over Germany.